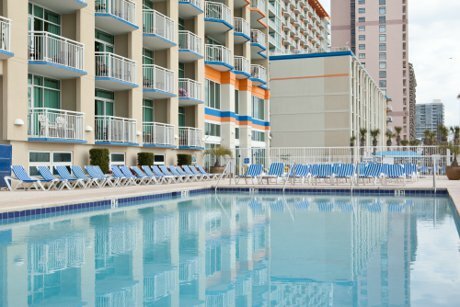 Year after year, Dunes Village Resort remains one of the most popular vacation resorts in Myrtle Beach, South Carolina. The resort offers spectacular oceanfront studios, one bedroom suites, and two, three, and four bedroom condos. Each unit is beautifully decorated, and offers all the comforts of home. Dunes Village is centrally located to all that Myrtle Beach has to offer, but with all there is to do on the resort, you may never need to leave! 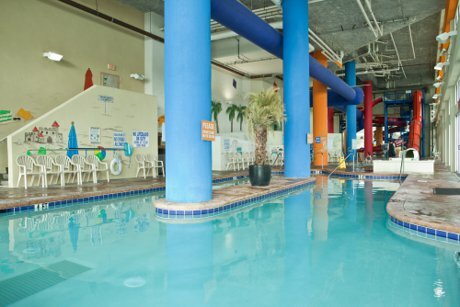 One of Dunes Village’s main attractions is the largest indoor waterpark of any oceanfront resort in the Myrtle Beach area. 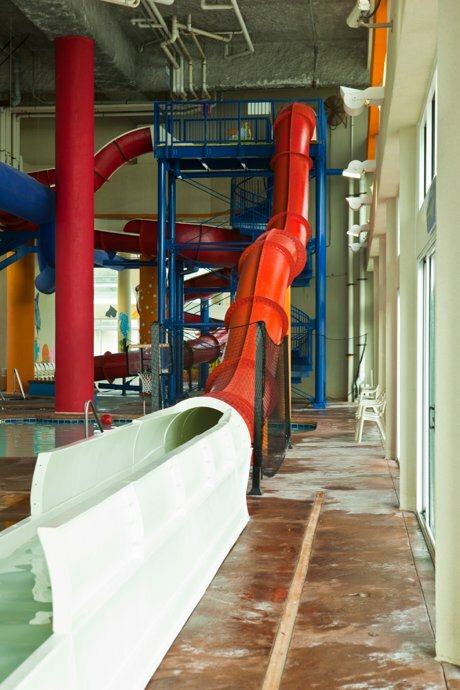 The waterpark at Dunes Village Resort features 15,000 square feet of water attractions including a 250 foot long river ride, a water slide, a huge swimming pool with water volleyball and basketball, hot tubs, a kiddy pool, and more. Your family will love it! In addition to the waterpark, there are many other amenities on the resort including an outdoor pool, Jacuzzi, and deck area. There are a number of games available on site which include a full basketball court, tennis court, foosball, air hockey, pool tables and ping pong tables. Dunes Village Resort also offers wireless internet, a gift shop, an exercise room, an onsite restaurant, lounge, coffee shop, and a parking deck. Dunes Village was voted #2 in Family Hotels in the United States by Travelers Choice Award. This family friendly resort is a great place to bring the kids. Dunes Village Resort offers children’s activities Monday to Friday including arts and crafts, pool games, treasure hunts, and much more. Golfers are welcome at Dunes Village Resort and there are a number of golf packages available for guests who want to get out and hit the links at one of Myrtle Beach’s 100 plus golf courses. Dunes Village offers great rental histories, onsite rentals, and has great management and staff in place. This makes it a perfect place to invest. For additional information about Dunes Village Resort Condos For Sale or selling a condo in Dunes Village contact Beach Realty Group today! 843-424-6900 or email us. 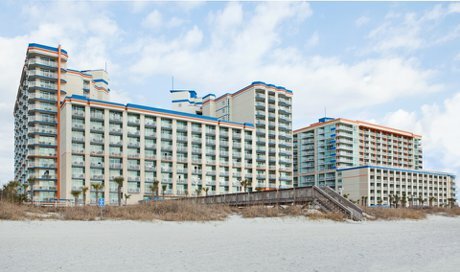 If you like Dunes Village you can also check out similar Myrtle Beach Oceanfront Condos at Island Vista and Anderson Ocean Club. Listing courtesy of The Hoffman Group , Tim Harvey. Listing courtesy of Seaside Realty , Skeeter Nash. Dunes Village Phase II Bldg. Dunes Village PH II Bldg. Listing courtesy of Watermark Real Estate Group , William Kohout. Beautiful oceanfront furnished unit. Resort has many amenities for the whole family to enjoy!!! Listing courtesy of United Real Estate MB , Greg Fadeley.